I know it’s been a little quiet around here the last month, but that’s because I’ve been busy teaching and making comics! In fact, do you ever check out Tor.com and all their awesome content? If not, now would be a great time because they have a short original comic by MK Reed and myself that we’re both pretty proud about that I just wrapped up. I’m also wrapping up my second week at my residency at Roosevelt High School where I’m teaching comics through Literary Arts‘ Writers in the Schools program. I’ll probably be posting a progress update on that sometime next week. 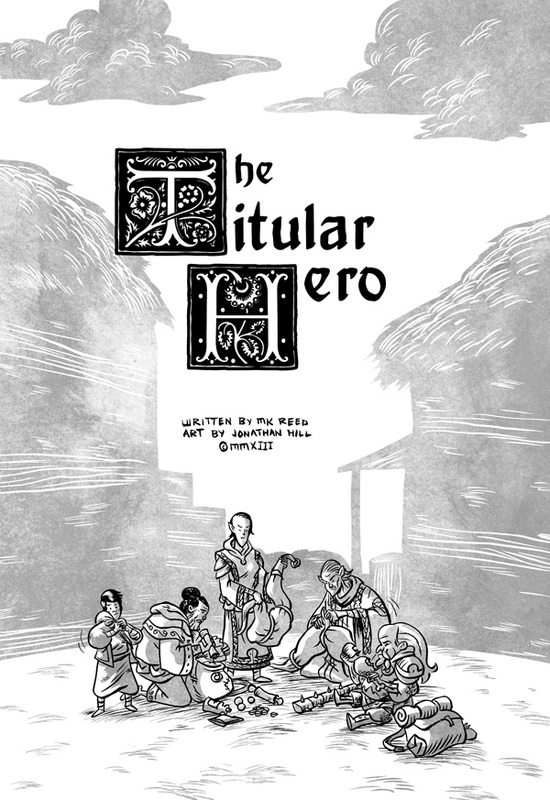 But seriously, make sure you head on over to Tor.com and read The Titular Hero. Make sure to comment on it to let them know what you think! This entry was posted in Comics, News by Jonathan Hill. Bookmark the permalink.